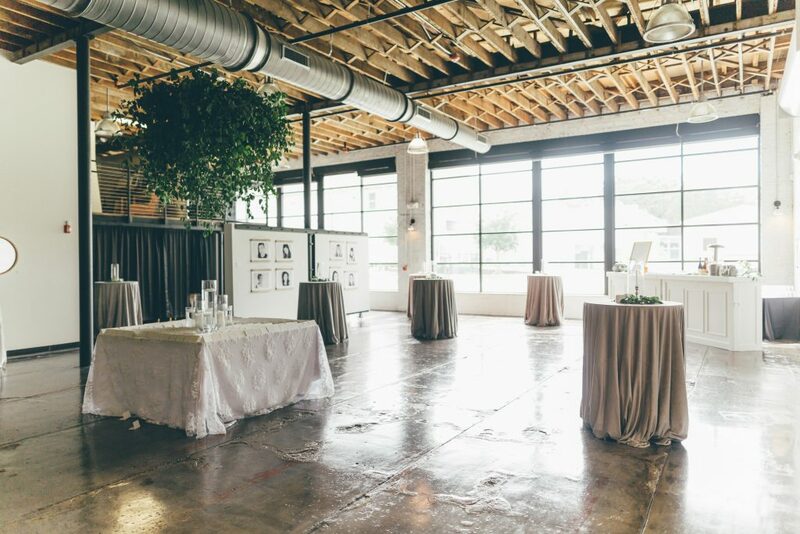 Whether you’re picking a venue for a wedding, reception, or any type of event, it’s important to know what each location has to offer in order to make the best decision for you. So, we wanted to give you all a better glimpse into everything that Haus 820 has to offer when it comes to renting out our space. 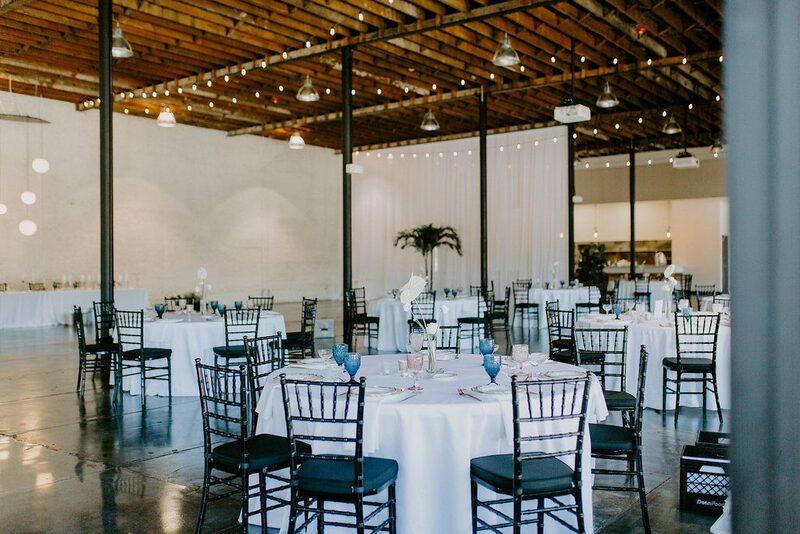 Each client that uses our space has access to 120 black chivari chairs with seating pads and fifteen 72 inch round tables that seat 150 guests. We have a full finishing kitchen with an ice machine that holds 800 pounds of ice and a 16-foot-long bar custom built bar. 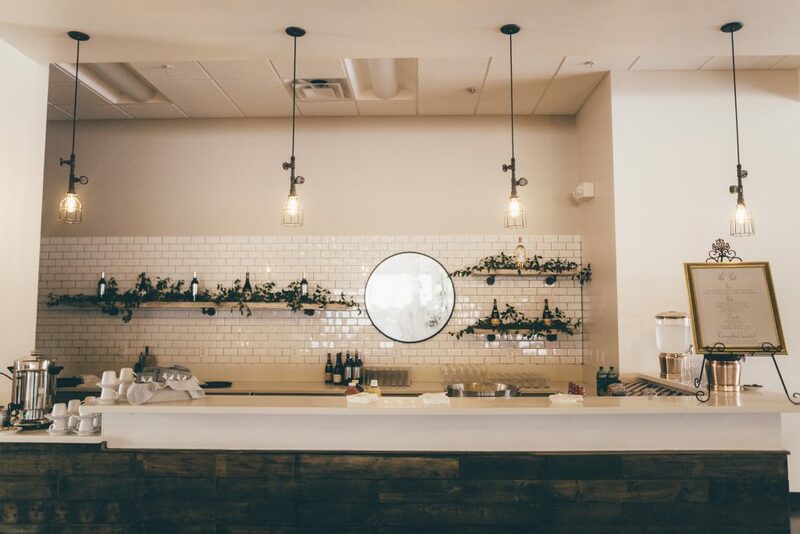 The bar is counter-height and functions as both a buffet and a bar. It is super versatile and spacious in order to fit the needs of any event. 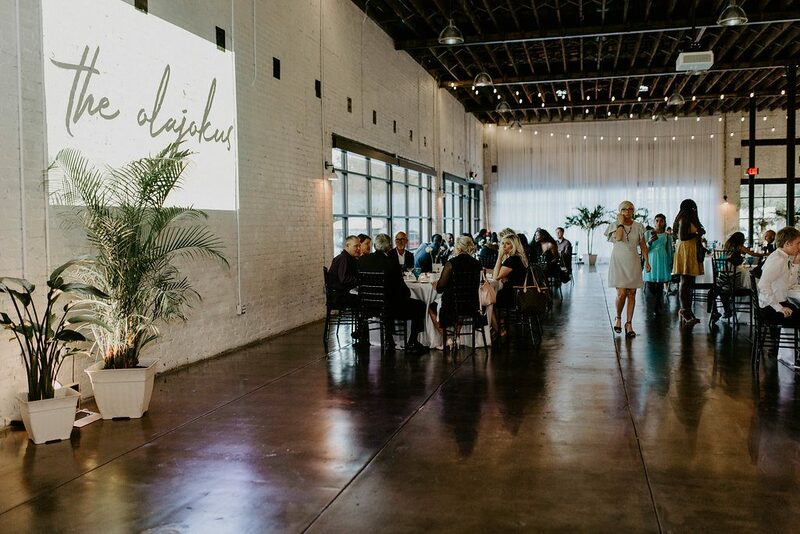 Most importantly, we are a customizable and non-exclusive venue. This means you can bring in any and all vendors you want to create the event of your dreams with no added vendor fees! 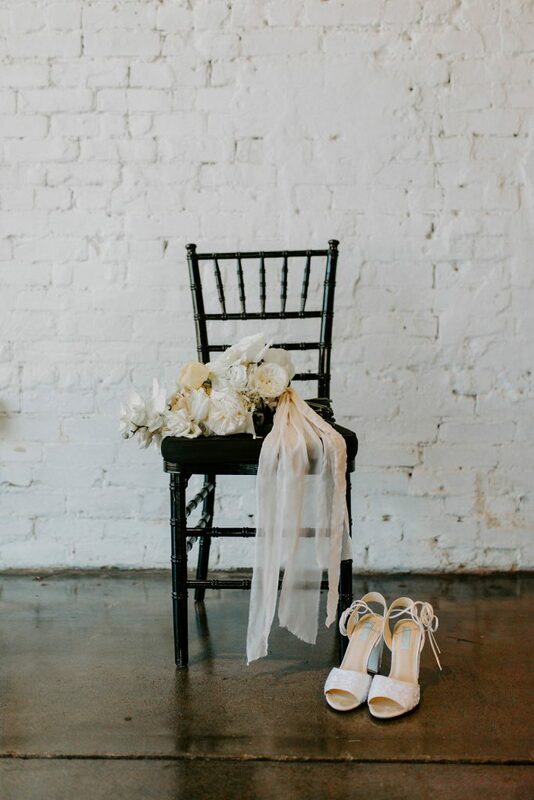 The white exposed brick walls and black floors make our space the perfect blank canvas that allows you to transform it into whatever you can dream up. 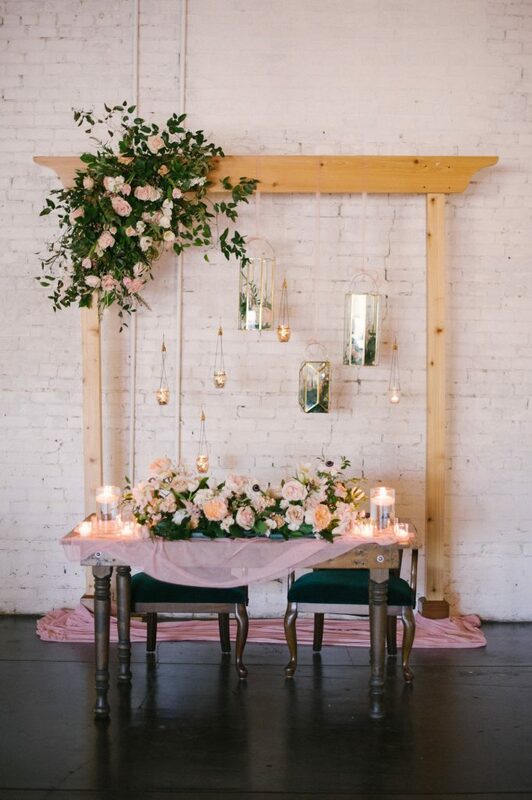 Whether your color scheme is bright and colorful or tastefully neutral, it all works! We also have two projectors available for use and white retractable black-out shades on all of the windows. 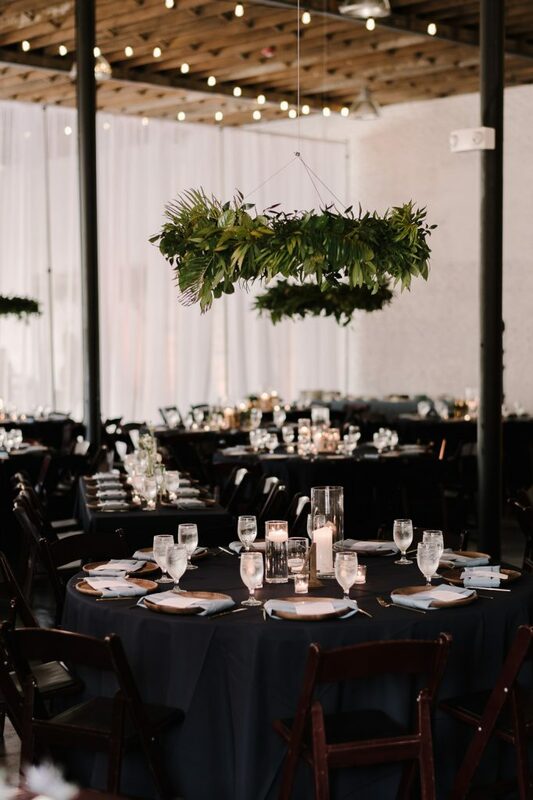 Our exposed rafter ceilings are perfect for hanging any arrangements or decorations and in addition to that, we also have market lights hanging from the ceiling which add the perfect touch of sparkle overhead. ART/ifact and our courtyard area are both the perfect spot for cocktail hour or a small ceremony, and the courtyard also has market lights hung overhead. 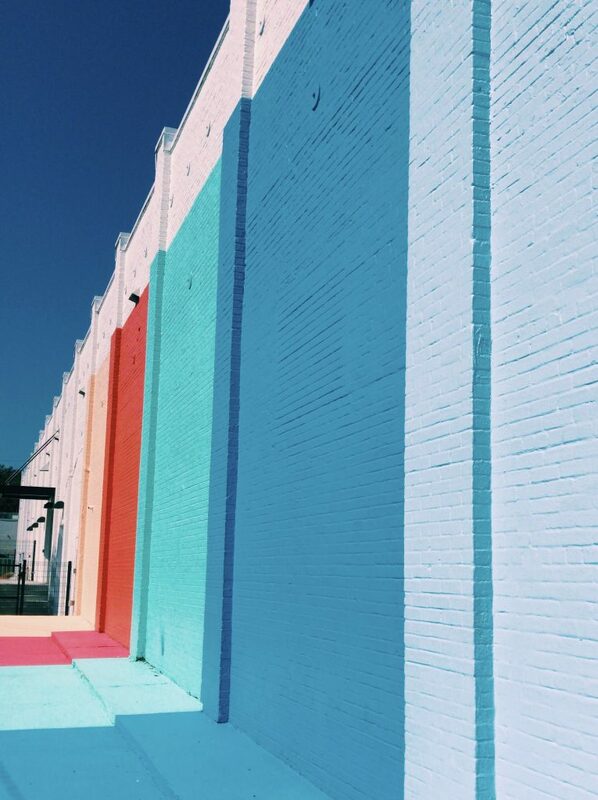 Lastly, is our famous Color Wall! 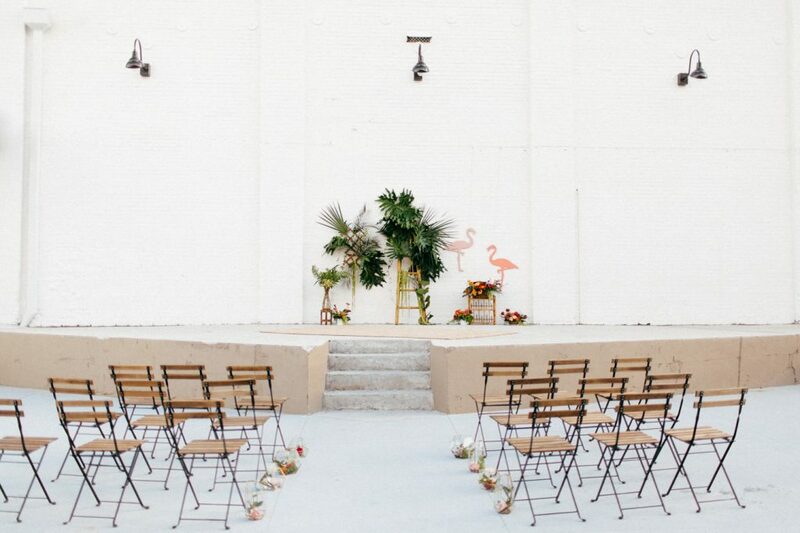 It is a great spot to snap a fun photo with a friend or add a pop of color to your wedding photos. If you have any questions about our space, give us a call today! 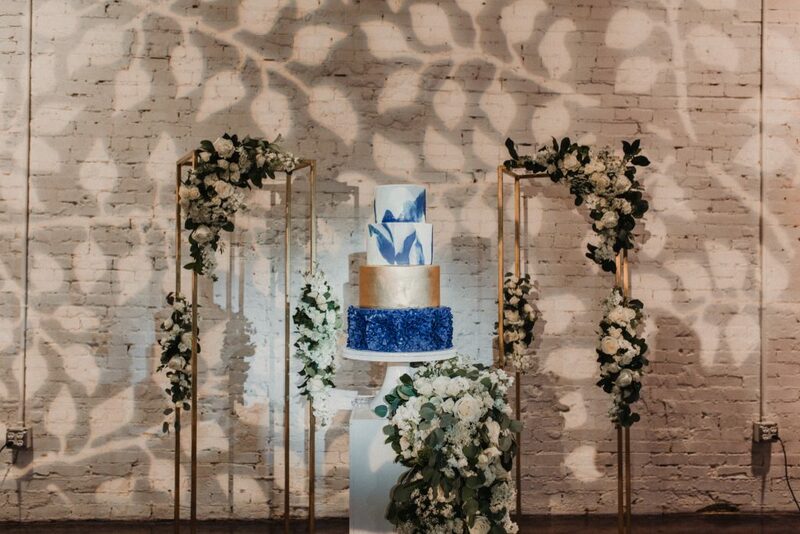 We would love to host your next event and be a part of your special day!